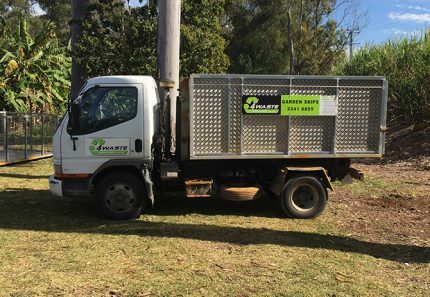 When it comes to efficient and affordable waste removal in Brisbane, most homeowners and business owners hire skip bins. With skip bin hire, all you need to do is collect your waste and dump it into the skip. The collection and disposal are then taken care of by the skip bin company. If you’re thinking of hiring a skip bin, then you’ve certainly made a great decision. Hiring a skip bin will make waste removal ridiculously simple and cost-effective for you. But, before you jump into making a hire, you should know that not all skip bins are the same. As the owner of 4 Waste Removals, today I will take this opportunity to highlight the major differences between our unique skip bins and the standard skip bins offered by other companies. When you’re done reading this post, you’ll realise why we’re the smart choice for skip bin hire in Brisbane. 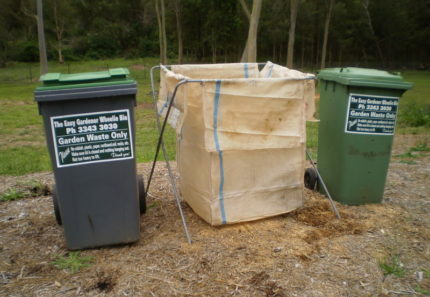 Standard skip bins offered by other skip bin companies in Brisbane are available in different size options for you to choose. Typically, skip bin sizes start from as small as 2m³ and can go up to 12m³ or beyond. As such, if you hire a standard skip bin, you’ll have to select a size and hope that it isn’t too big or too small for the amount of rubbish you have. However, at 4 Waste Removals, our skip bins are available in a single size. Instead of offering multiple sized skips, our one-size-fits-all skip bin includes fill levels ranging from 2m³-12m³. With our skip bins, you’ll never worry about choosing a skip bin of the right size. Also, our skip bins offer better value for money as you’ll only pay for the amount of rubbish you fill into our skips and not for the entire skip bin. With standard skip bins, you need to lift your waste over the walls of the skip for loading. This can be a problem especially if you’re looking to remove large or bulky waste materials. Doing any heavy lifting may cause injuries to your back as well. But, if you choose our skip bins at 4 Waste Removals, you’ll never have to worry about hurting yourself. That’s because our skip bins are uniquely designed and feature the rear swing-door. Thanks to this, our skip bins provide easy, walk-in access and this saves you the trouble of doing the heavy lifting. While this will help you avoid strains and injuries, this will also allow you to arrange your rubbish to fit more efficiently into our skips. 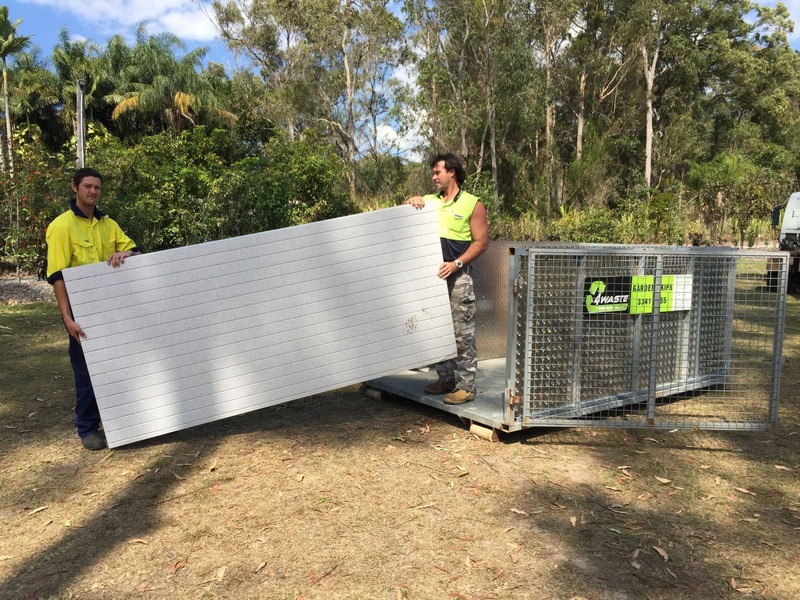 Unlike many other skip bin companies in Brisbane, 4 Waste Removals is a privately owned and operated company. 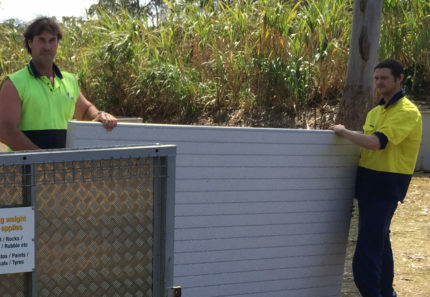 We’re fully insured and licensed to offer waste removal services in Brisbane. Our professionals will ensure that no damage occurs to your property during skip delivery or collection. When you hire skip bins from us, you will deal directly with us and not with a call centre. Our friendly staff are knowledgeable and trained to cater to your requests. With us around, there’s simply no need to look for skip bins elsewhere in Brisbane. Hiring a skip bin is an affordable and efficient way to remove waste. However, not all skip bins are created equal. Unlike standard skip bins, our skip bins at 4 Waste Removals are available in a single size and offer walk-in access. 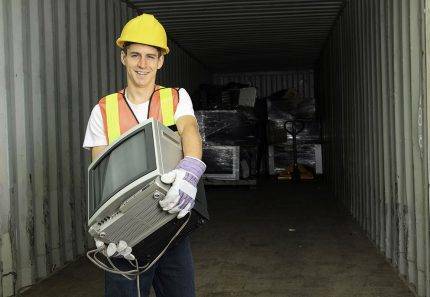 For reliable and cost-effective skip hire services in Brisbane, look no further than us at 4 Waste Removals. We’re a privately owned and operated company, so trust that we’ll offer you the best service! Order a skip bin from us today!